Two small towns with venues made for the big city. Walk the streets of Bloomington-Normal and you’ll feel the Midwestern charm and welcoming nature of the locals and college students alike. Why choose Bloomington-Normal for your next sports event? In the center of Illinois, right at the core of America’s heartland, lie two neighboring and charming towns – Bloomington and Normal. Home to Illinois State University and Illinois Wesleyan University, the two towns host major events year-round and see countless athletes take advantage of the high-quality NCAA facilities. Walk the streets of Bloomington-Normal and you’ll feel the Midwestern charm and welcoming nature of the locals and college students alike. 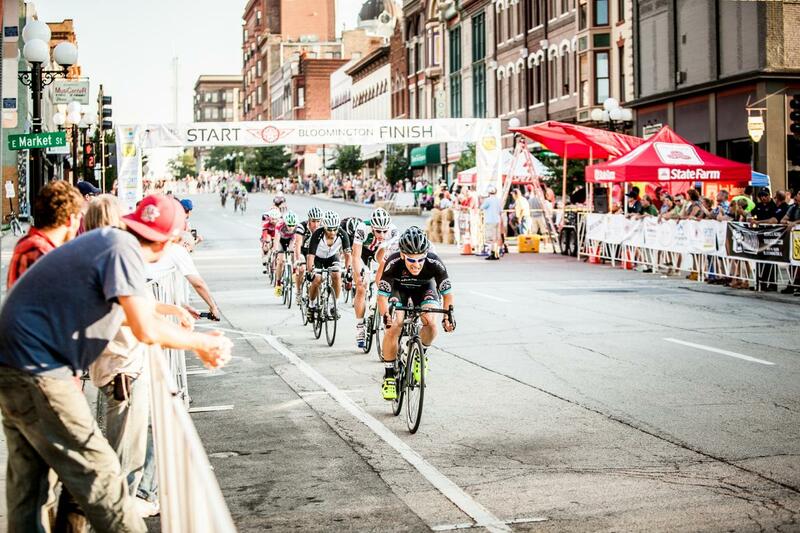 Although the area has a laid-back nature, the focus on sports is top-notch and the reason that major regional and national events are held there year after year. 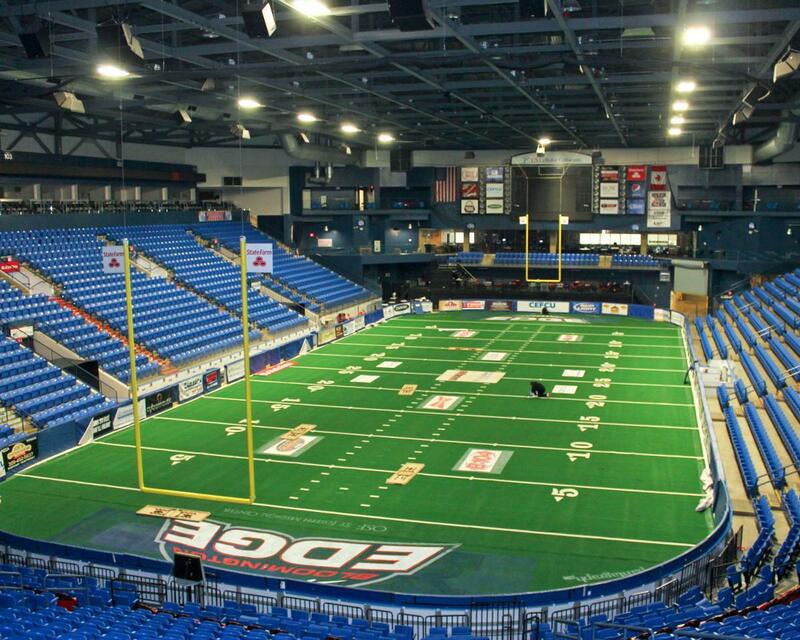 We know the hard work that goes into planning an out-of-town sporting event. There is more to the logistics than the typical venue arrangement – you want to ensure that there is plenty for everyone to do when they’re not working up a sweat. In Bloomington-Normal, there is a youthful vibe thanks to the two college campuses, and family friendly activities are plentiful. 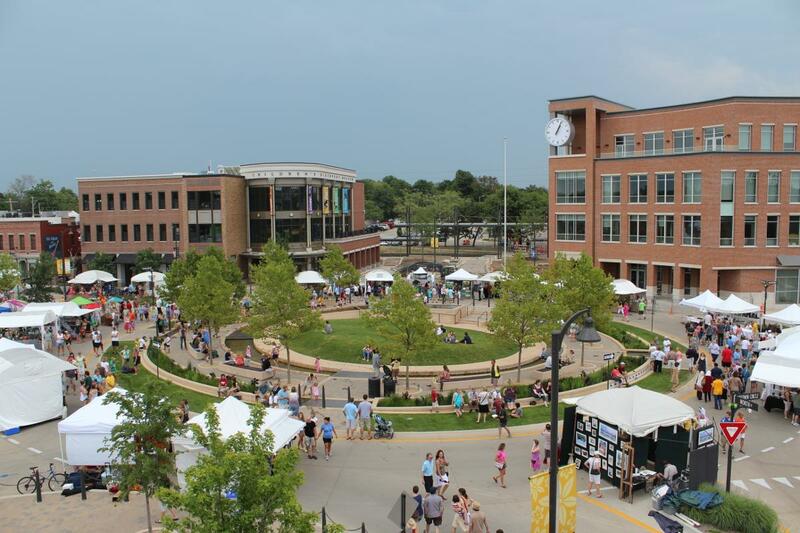 The quaint downtown area of Bloomington is the perfect place to spend time wandering, and whether you’re into shopping, eating or checking out local entertainment – it’s all here! Check out this map to help you make the most of your time in the area. It includes the best local eats, shopping, entertainment and nightlife to make planning a breeze. Just a short walk or drive from the center of Bloomington is the popular Miller Park Zoo, where your group can check out animals from around the world, including the New Guinea singing dog, two-toed sloths, scarlet ibises, and Sumatran tigers. Just to the north in Normal is Anderson Park and Aquatic Center, which always promises fun for all ages. With three pools, including two waterslides, a diving board and plenty of water toys, you can easily spend the day there; outside of the pools is an additional 13 acres of ball fields, courts and picnic grounds. Why not get a taste for the local history and culture while in Bloomington-Normal? The Bloomington Center for the Performing Arts hosts an array of events and performances, so be sure to check out what’s playing when you’re in town. The McLean County Museum of History is a fun way to learn about local history; the first floor’s Route 66 Visitors’ Center’s “Crusin’ with Lincoln” exhibit spotlights the “Mother Road” and Abraham Lincoln’s life in his home state. The Bloomington-Normal Area Convention and Visitors Bureau and Sports Commission are valuable assets to the planning and coordination of the Illinois High School Association Girls Basketball State Finals. This tremendous support from the volunteers and Bloomington-Normal communities helps to forge unforgettable memories on and off the court for the competing teams, their fans, and school administrators. 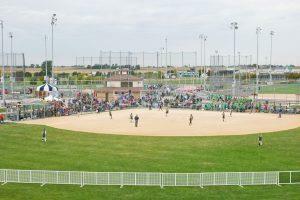 For girls’ fast-pitch and adult slow-pitch softball, Champion Fields in Normal offer everything you need to host a successful event. Eight lighted fields make up the main complex, along with two more lighted fields just to the south. 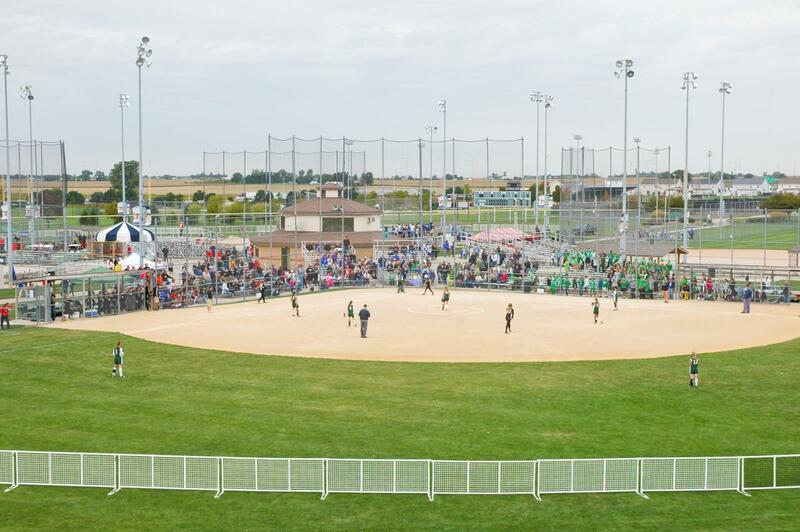 This venue has played host to the Girls 10U A National Championship and is equipped with covered dugouts, a P.A. system, scoreboards and concession. Spectators can take in games from the bleachers behind home plate and along the foul lines. 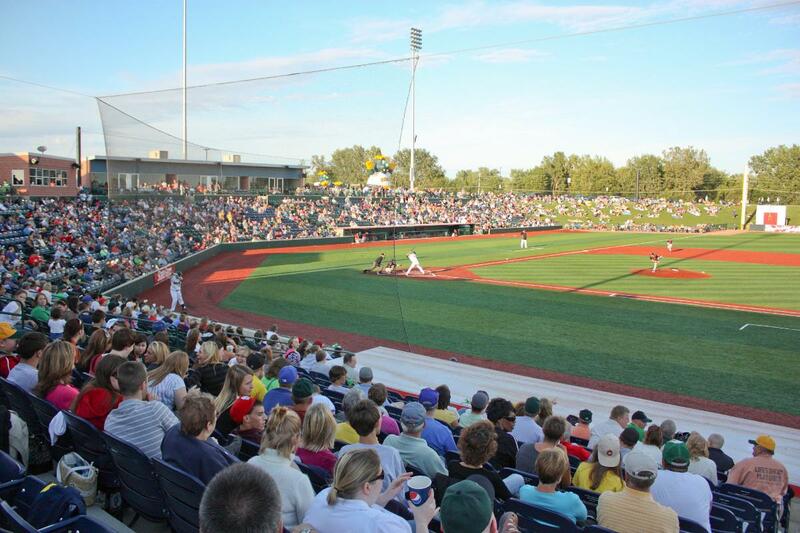 The Corn Crib in Normal is the perfect place to enjoy America’s pastime. Spectators can view the game from the foul lines and behind home plate, or pack a picnic meal and take in the excitement from the area around the outfield. The Corn Crib can host soccer in addition to baseball. With plenty of parking, room for 7,000, full concession and a Kids Zone, the amenities are top-notch. Players and fans will feel at home at the stadium that hosts the Frontier League’s Normal CornBelters. 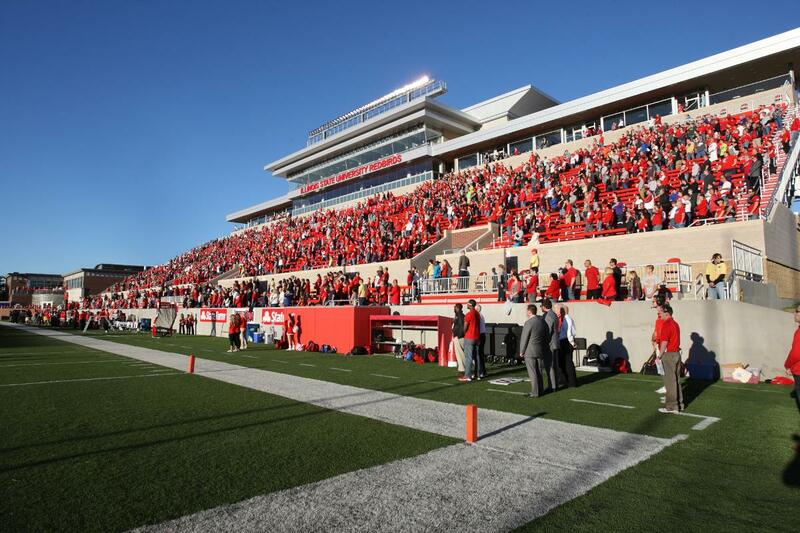 Hancock Stadium in Normal, home to the Illinois State University Redbirds Division I Football team, was the first collegiate football field in Illinois to feature artificial turf. With seating for 13,000, there is full concession along with an LED scoreboard, concert-style sound system, locker rooms and a training room – all the amenities that players and coaches could ask for in a stadium. 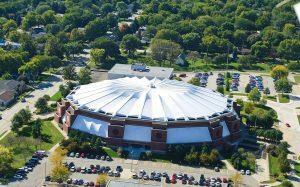 Basketball and volleyball teams will be pleased to know that the state’s second largest collegiate arena is in Normal on the campus of Illinois State University. With seating for 10,500, Redbird Arena hosts the ISU men’s and women’s teams in these two sports and offers locker rooms, training facilities, full concession and parking. This “crown jewel” of ISU facilities, so named because of its glowing Teflon roof, regularly hosts tournaments and NCAA play, making it an excellent choice for your next event. 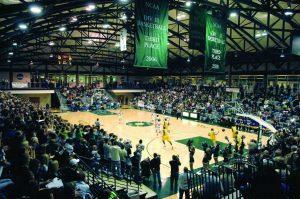 Another quality collegiate facility for basketball and volleyball is the Shirk Center, located on the Illinois Wesleyan University campus in Bloomington. Home to the university’s men’s and women’s teams, the venue is no stranger to large-scale events and convenient to downtown Bloomington and local accommodations. Inside the 135,344-square-foot facility is seating for 2,680 along with a training room, locker rooms, equipment storage, laundry facilities, full concession and plenty of parking. Located in the heart of Bloomington, this multi-sport center is home to three professional sports teams and the Illinois State University NCAA hockey team. 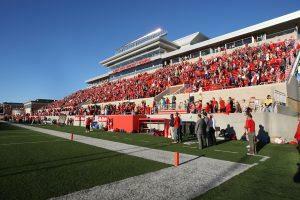 There is seating for up to 5,600 during hockey and football games, and 7,200 for basketball games. The Coliseum can host cheer and dance events as well. Everyone will appreciate the easy access with the onsite parking garage, and five concessions feature flavors to suite everyone’s tastes, including Mexican, Italian and BBQ. 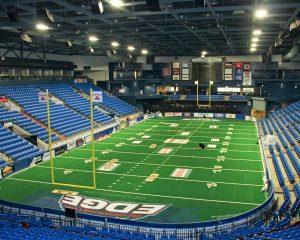 The U.S. Cellular Coliseum opened its doors in the last decade, making it a modern and popular facility hosting events of all sizes. This signature Arnold Palmer course in Bloomington offers 18 holes of championship golf and has hosted a number of events including the Illinois High School state tournament. Mr. Palmer himself even played the course when it opened in 1997 and shot a 74. Golfers of all ages and abilities will find unique challenges on this 6,926-yard, links-style course that also features a driving range, practice green, and chipping green to warm up and hone skills. 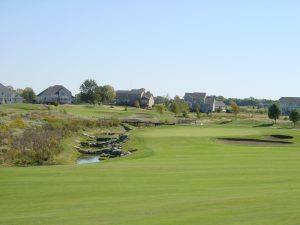 The course has a fully-stocked clubhouse, concession and beverage cart to keep players fueled on and off the links. How do we get to the Bloomington-Normal area? Conveniently located in the Midwest, Bloomington-Normal is a great meeting place for athletes from across the country. With several major airports within two hours and major interstates passing through town, you’ll have a whole host of options when it comes to planning your trip. By Car: The Bloomington-Normal area is accessible from Chicago to the north and St. Louis to the south by taking Interstate 55. Travelers from the east and west can come in via Interstate 74.